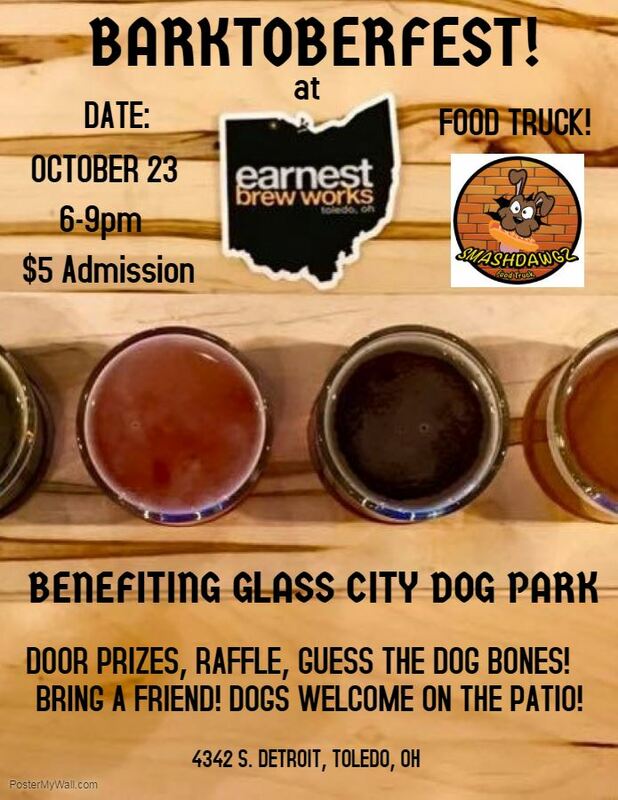 JOIN US TUESDAY, OCTOBER 23RD, FOR ANOTHER BARKTOBERFEST AT OUR FAVORITE CRAFT BEER PLACE, EARNEST BREW WORKS! SMASHDAWGZ FOOD TRUCK WILL BE IN THE PARKING LOT! WE WILL HAVE DOOR PRIZES, 50/50 RAFFLE AND OF COURSE OUR "GUESS THE DOG BONES" GAME! CHANCE TO NAME A BREW FOR THE NIGHT! $50 TO NAME A BREW AND INCLUDES ADMISSION FOR TWO! BRING FRIENDS AND ALSO YOUR DOG IS WELCOME ON THE PATIO!